CollegePrep-101 Homepage - COLLEGEPREP-101 - Home of all your college preparation needs. Sending a kid to college? Don't do it alone. 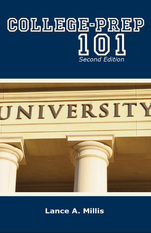 Buy a copy of College Prep 101. Every year thousands of students go abroad to pursue higher education. There are many benefits both professionally as well as personally if you decide to study abroad. Studying abroad can be one of the most enriching, interesting and stimulating experience of your entire lifetime. In the present world, there are many study abroad opportunities available to students in almost every country which makes studying in your dream land easier than ever before. One of the most desired destination of many students who wish to study abroad is Australia. The Australian Education system is primarily the duty of the states and territories. The private schools are funded by the state or territory government whereas the public universities are funded by the federal government. The education system in Australia consists of a three tier model which includes primary education, secondary education and tertiary education. The academic year in Australia varies from state to state but overseas students can begin their studies at the start of any semester throughout the year. Weather conditions in Australia are pleasant with warm summers and mild winters in most states. Most of the cities and states are located in mild subtropical zones. Before pursuing a program it is important for a student to do some research about the university and obtain advice from reliable sources. One of the most popular destination for international students in Australia is Brisbane which is also known as Australia’s new world city. Brisbane is a hub for creativity and invention which provides students with world class research facilities in a cub tropical climate. Studying in Brisbane is a life changing experience for students since it provides them with an opportunity of not just studying but also learning different cultures from across the world. International students arriving in Brisbane usually take up dedicated accommodation but there are many students who prefer to stay in rented accommodation. Student accommodation in Brisbane is easily available to students due to the large number of quality student accommodation facilities available there. Brisbane provides standard homestay households to international students in order to boost the existing student housing options and rental properties which in turn will benefit the local businesses and workers. At present, Brisbane has become the destination of choice for 80,000 students per year. Brisbane also provides the facility of homestay arrangements for international students which helps in cultural understanding, community involvement and financial support. Such homestay accommodation helps the students in getting cultural exposure and a feeling of their home. Many companies in Brisbane are also providing student accommodation in a safe and secure community. As the number of students increase every year, the demand for quality and safe accommodation also increases. Being a major hub for domestic as well as international students, it is necessary to provide standard accommodation to students visiting Brisbane. The student accommodation in Brisbane which is provided by well known companies has all the facilities like air conditioning, internet connectivity, private study space and many more. Thus studying in Brisbane is a perfect choice for students who aspire to study abroad. Visit http://www.urbanest.com/ and click on Brisbane for more information.